Set up a FREE account using your school email address. *Set up a free account. *Choose Create a Design button (top, left corner). *Choose Poster from the top selections. *Use the left sidebar to add different elements. *When done, go to Download (top, right). 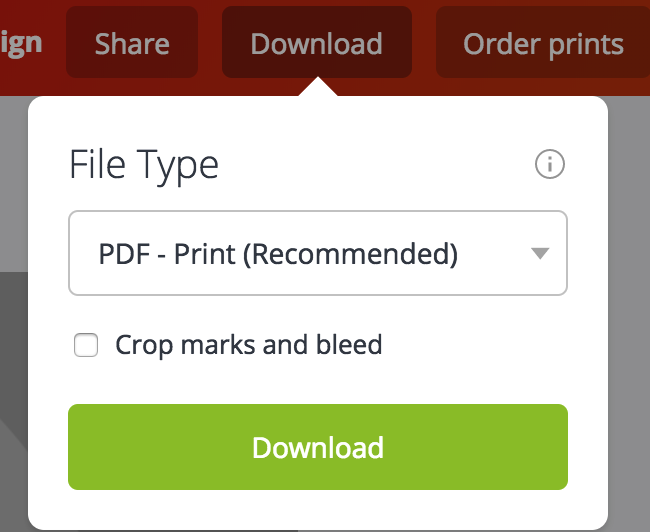 Choose PDF. 1. Choose CREATE A DESIGN. 2. Choose a template. There is not a book cover template. 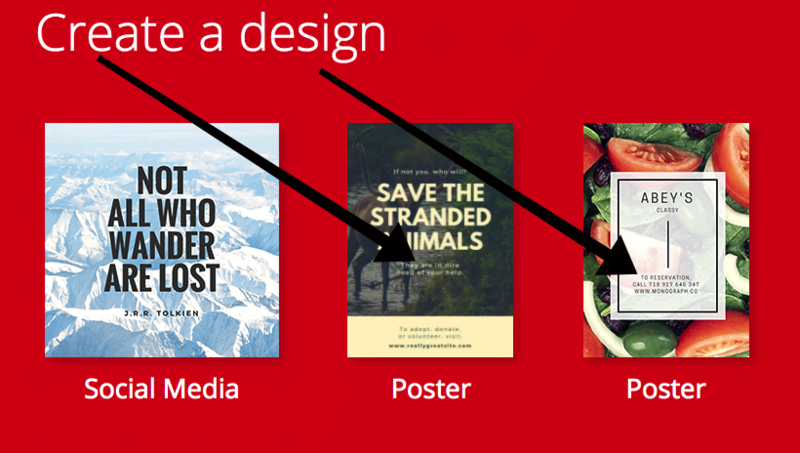 We suggest choose a design you prefer and then change the text and images to work for the assignment. 3. Once you choose a template, you will be able to choose from other templates with the same idea. Choose one. 5. Delete the items on the canvas that are not needed. Double click on the text to change. 6. Use the left sidebar to add to the design. Photo: Add a photo from your Google Drive or grab one from Stock Photos. Clipart: Add clipart or shapes. Background: Grab a different background image from several sources. 7. Once done, choose the download button. 8. Select the FREE option. The item will download to your computer. 9. Submit to Canvas under the designated assignment.